China announced an action plan on Tuesday in a bid to transform Shanghai into an international financial center by 2020. By 2020, Shanghai is expected to establish a global financial market featuring yuan-denominated products with strong financial resource allocation capability, the plan said. Shanghai has always been at the forefront of China's reform and opening-up, and it has been backed by China's dynamic economy and many favorable government policies. It is also the city with the biggest pool of internationally competitive financial institutions and professionals in China, said Lian Ping, chief economist from Bank of Communications. A report by the Xinhua News Agency, by 2017, 1,537 financial institutions had established branches in Shanghai, nearly 30 percent of which were set up by foreign companies. The city has also been showing stable growth. 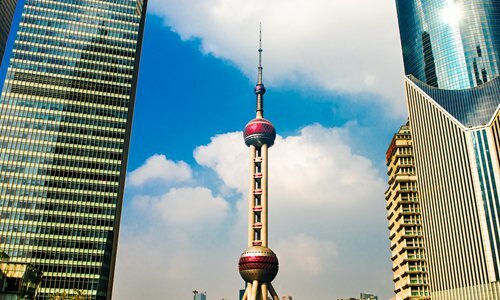 Figures released by the Bureau of Statistics of Shanghai showed that GDP in Shanghai reached 3.26 trillion yuan ($480 billion) in 2018, showing a 6.6 percent growth rate from the previous year. However, despite being the most internationalized financial hub in China by most measures, it still lags behind compared with some of the oldest and most established financial centers in the world, such as London and New York, Lian said. "The main challenges faced by Shanghai, if it intends to compete with those top cities, come from market openness, including capital controls and the convertibility of the yuan," Lian said. As an indication, approximately 50 percent of UK shares are held by non-UK investors, whereas the percentage of Chinese shares in non-Chinese hands is only around 6 percent. As one of the major goals behind the transformation of Shanghai into an international financial center is for the yuan to play a bigger in the world market, it requires a more developed market with mature infrastructure and sophistication of products, Lian told the Global Times.